Bear’s Den Lodge, a “historical” museum, was built in 1925 for a New York Banker, H. Martin. Mr. Martin hired Bud West, local tourist lodge operator, to build a lodge on the property were an old logging camp used to stand. Bud hired Sandy Mower, Sylvester Ritchie and some of the Thompson family to help with the project. Photos indicated that 1924 construction started on site. Two years after the lodge was finished, Mr. Martin was unable to continue to visit the lodge due to his involvement in some financial and legal problems. According to Bill Maxwell, a previous owner of Bear’s Den Lodge, shared that Mr. Martin used the C.N.R. Railroads’ supplies, equipment, and employees that lead to being jailed. His wife, Elizabeth, and her sister turned the property into a commercial resort catering mostly to New York clients who arrived by train wearing “fancy dresses, top-hats and many were accompanied by servants.” Mrs. Elizabeth Martin loved the “Bear’s Den” and lower French; so much so, requested in her will that she’d be cremated and her ashes scattered over the rock formation surrounding Bear’s Den Bay. Since 1986, we have been restoring and maintaining the lodge to its finer days. The maple floor is maintained with the original birch bark railing to allow for the character and charm of days gone by. 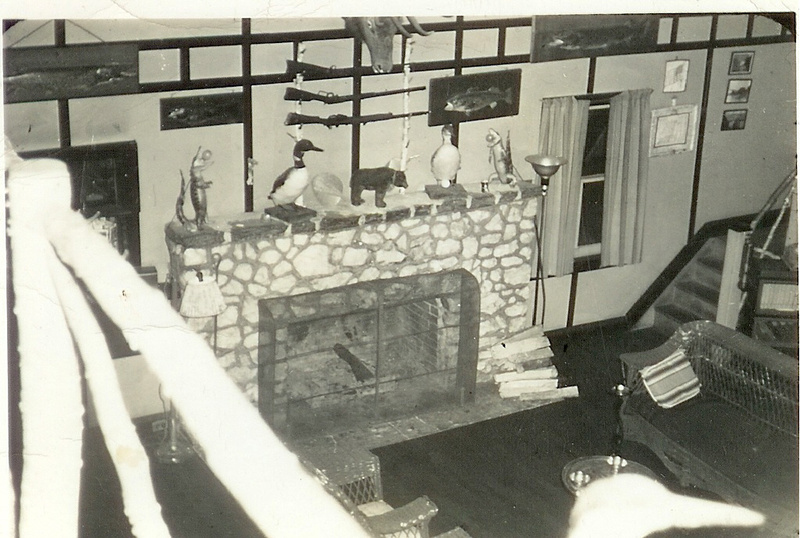 Above the massive white quartz fireplace in the main lodge, built by Sylvester Ritchie from the quartz blaze in the front yard, is the 59 lb. 11 oz. muskie on display along with other fish replicas, skin, and fur mounts. Fish photos, scenic photos, and bear hunting photos are displayed throughout the camp along with historical documents and photo albums. We celebrated the 90th year of the lodge last year along with our 30th year operating the Bear’s Den Lodge. We encourage you to step back 90 years in time, breathe the fresh air, listen to the birds singing, watch the bears play, or stop to smell the lilies and flowers in the flower and rock gardens throughout the grounds. 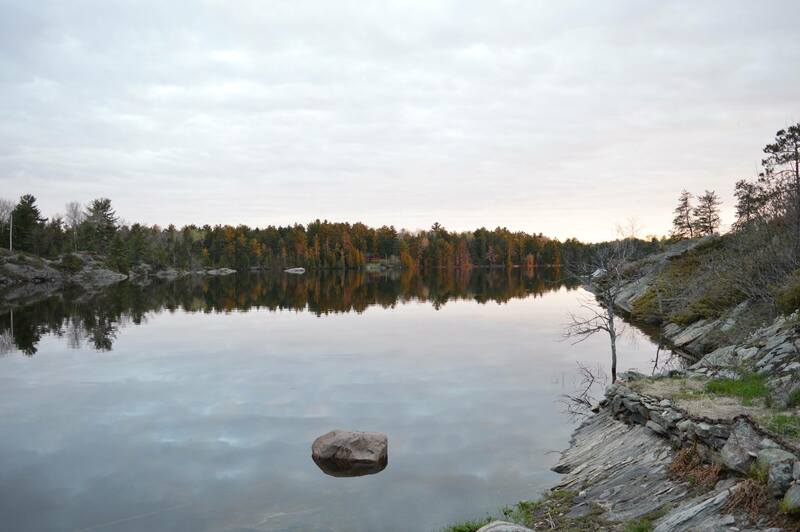 Join us in the nature and great outdoors in Ontario! Breathe-taking outdoor experiences await you during your next Canadian fishing adventures. 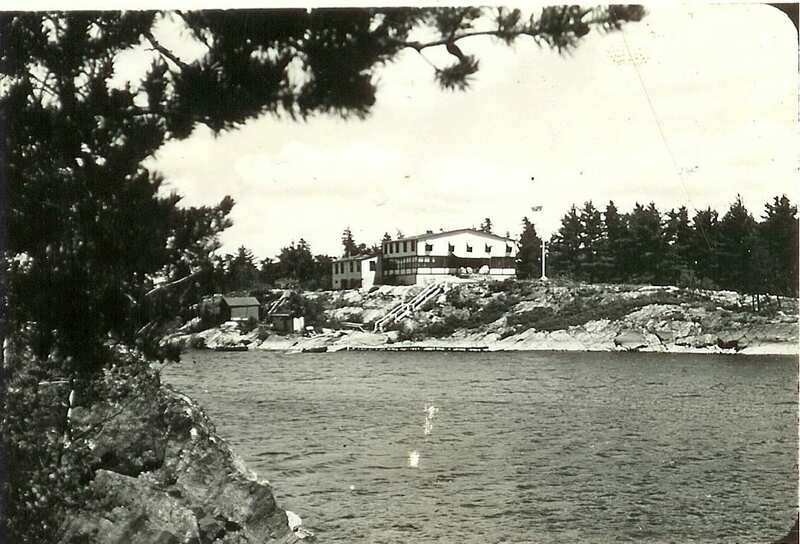 Share your old photos, stories and history of Bear’s Den and the French River.